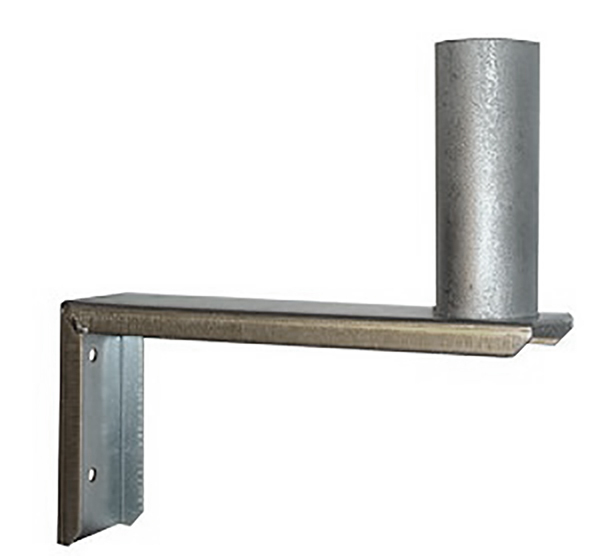 The WMB Universal Wall Mounting Brackets from Pacific Wireless are constructed of zinc plated steel for long service life. The mount seams are welded for durability. The mount WMB-8 provides 8" of standoff from the wall and supports over 35LBs. The mount is attached to the wall with two screws and can be mounted very quickly. The industry standard 1.25" mount diameter allows mounting of most pole type mount antennas. Great for mounting Ubiquiti Client radios.